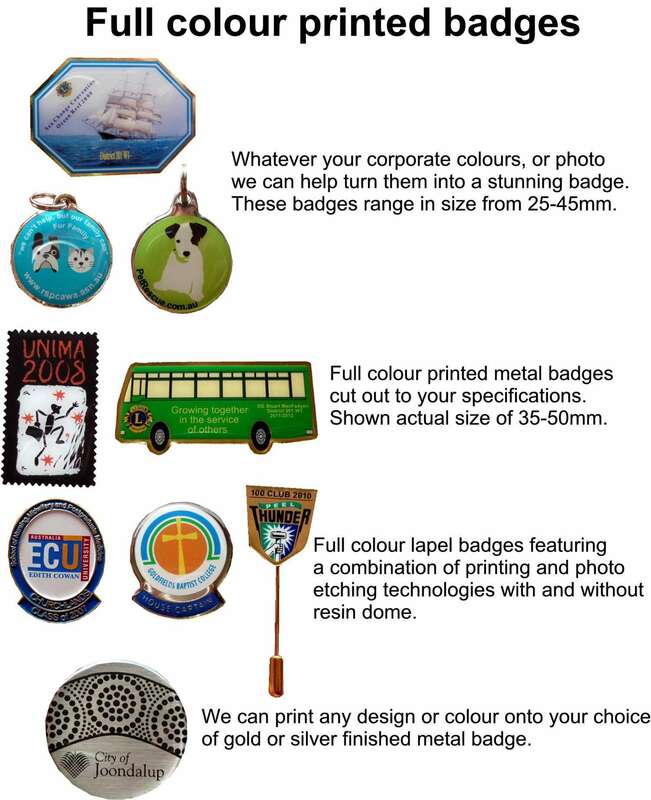 Let Precision Badges WA manufacture your next order of lapel badgesWe've been in business in Western Australia for over 20 years and proudly supply schools, clubs and businesses with quality etched enamel metal, printed full colour lapel badges, at the most competitive prices available. In most cases there are no setup, artwork or tooling charges. After an initial order (minimums negotiated), you can order small numbers of repeats, even just one if you wish. Gold or Silver plated with full color etched enamel and an optional epoxy domed cover the classiest badge you will ever wear. An enamelled metal badge with your crest and any text you desire, such as a title, a person's name, an organisation's name, a year, or a combination of any or all of these. We can produce your badge in any size or shape and a black nickel finish is also provided as an option at no extra charge. 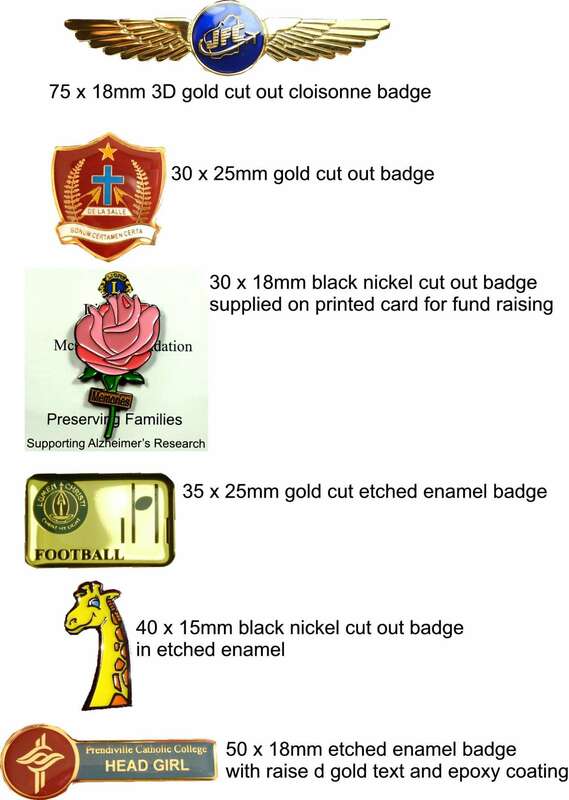 We can provide badges already fitted to full colour printed cards, or sealed in bags if your badge is being made for fund raising purposes. Your logo and corporate colours exactly as you would like them printed on high quality stock, in any size you like , with or without a protective epoxy dome layer. Complimented with either a gold or silver border resulting in a very smart metal badge or plaque. We have a range of methods to produce full colour printed badges that can incorporate your logo within a metal badge as a full colour printed logo or we can use full colour die sublimation printing if you'd prefer an entirely plastic badge. A range of fittings are also available from magnetic catch through to a simple pin with roll lock catch. Give us a call to discuss your requirements. All our lapel badges are made to order, so you can have any size or shape you require! We can make to any shape or design and include cut outs for fixing your badge or printed plaque. We can even make a badge using a combination of full colour printing technologies blended within a classic photo etched badge to still give you a 3D finished badge. Our most common sizes are from 20-30mm up to 75mm. Have you got a special badge project requiring security or trademark protections? At Precision Badges' Perth office in Western Australia we can produce badges for government and trademark holders. 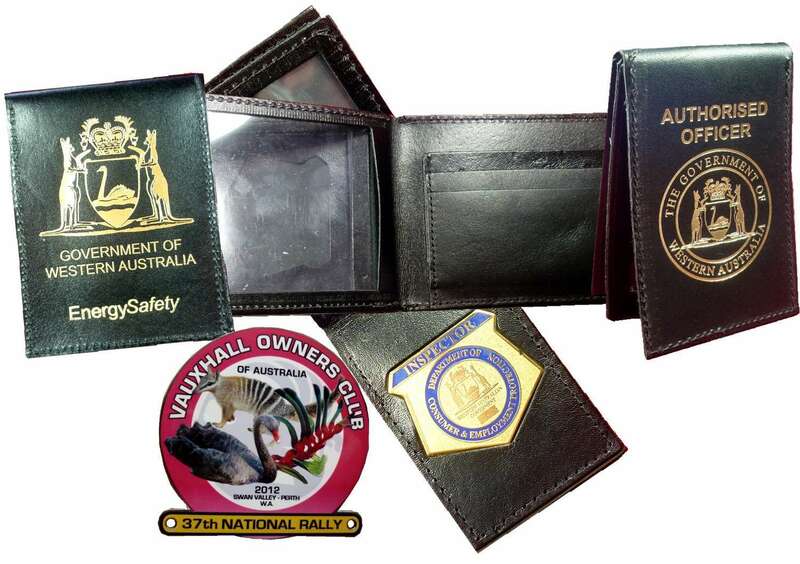 If you've got the appropriate authorisation to hold protected licenses we can assist you with product reproductions to your very strict specifications, including the manufacturing of leather wallets and other presentation boxes. We can also manufacture car badges and plaques to commemorate your next ralley or car show. Auotmotive plaques can be any shape and can include mounting cut outs as per your specification. We make it easy for you and have the latest manufacturing technologies that enable us to produce the widest variety of quality badge types on the market today. Precision Badges is the Western Australian owned and operated company to trust when you want quality product and friendly, helpful service.Request a quote or email us with your questions. We aim to be competitive and will match or beat any quote from Eastern States. We even have a telephone, so give us a call. Our 1300 BADGES is toll free number or 06 9524 2311 will put you in direct contact with your local Branch. We're here to help and we aim to make it easy for you. Have a great day! 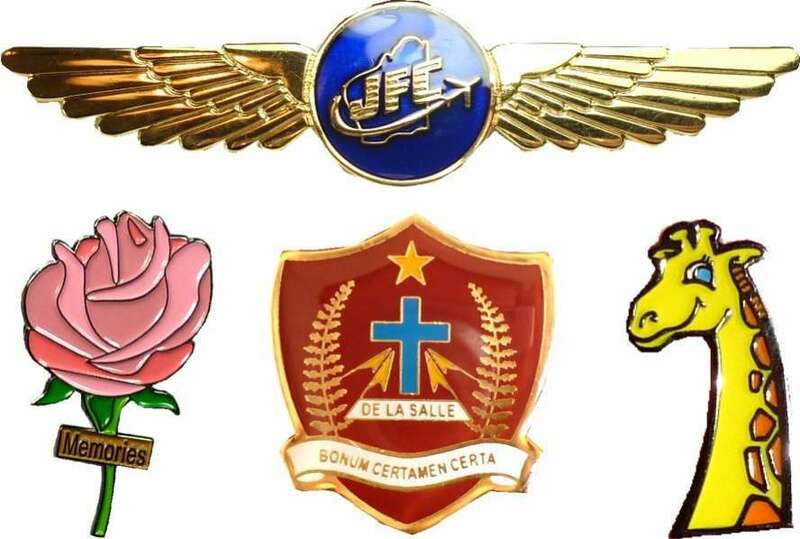 Request a quote for your lapel badges here.